Supreme Cleaning Ltd is a commercial cleaning company who specialises in commercial window, floor and carpet cleaning services in Croydon and the surrounding area. We offer professional, competent and reliable cleaning services to businesses, factories, surgeries, schools, sports clubs, entertainment venues and more. Our team is fully trained and experienced enough to provide an outstanding service every time. We are also insured and reference checked so we can guarantee a reliable and consistent service at all times. Whether you are looking for contractual cleaning services or professional commercial cleaning services for your Croydon-based business, Supreme Cleaning have the experience, techniques and cleaning products to provide an exceptional service, every time. We provide both daily and deep commercial cleaning services designed to suit individual client needs, whatever your particular preferences. We understand the importance of regular, professional office and carpet cleaning, which is something we take pride in supplying to all our clients. The commercial carpet cleaning service from Supreme Cleaning specialises in providing a thorough carpet cleaning service, designed to help you revive and renew your carpets instead of having to replace them. We also use stain protection products designed to further increase the longevity of your carpets. Supreme Cleaning provides expert commercial hardwood floor cleaning services in Croydon, with regular cleaning and maintenance services for all types, not just hardwood floors. Floors we can treat include laminate flooring, vinyl flooring, stone floor cleaning and more. We provide our commercial window cleaning services to many different types of businesses and industries, with daily contract cleaning covering corridors, lifts, meeting rooms, cloakrooms, offices and every aspect of a premise in order to guarantee a positive first impression on customers, clients and visitors. We offer a service level agreement that ensures 100% reliability and we are devoted to making sure your colleagues and employees are working in a healthy environment. We provide our services to many different types of businesses and industries, with daily contract cleaning covering corridors, lifts, meeting rooms, cloakrooms, offices and every aspect of a premise in order to guarantee a positive first impression on customers, clients and visitors. We offer a service level agreement that ensures 100% reliability and we are devoted to making sure your colleagues and employees are working in a healthy environment. 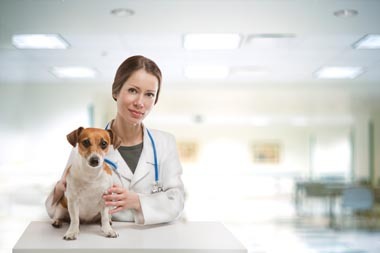 Surgery Cleaning – Many veterinary surgeries rely on in-house cleaning to keep their premises clean and tend to worry about future absences that will disrupt their cleaning schedule. Practice managers based in the South East have recently turned to our specialist cleaning services to deal with every aspect of hygiene and the potential spread of bacteria in the surgery environment. We have all the specialist cleaning products required to prevent the spread of bacteria in an environment that should always be kept as clean as possible. Commercial Venue Cleaning – We provide our cleaning services for Masonic lodges, golf clubs, concert halls and many other sporting and social venues. We realise the importance of maintaining a clean, healthy premises in order to make a positive impression on your guests during parties and large gatherings. We also offer end of tenancy cleaning in East Croydon, Croydon and the surrounding areas. 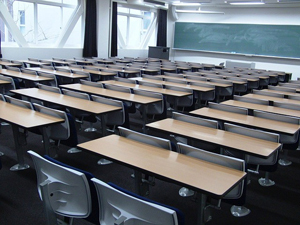 Contractual Cleaning Service – We offer our daily contract cleaning services to both private and state schools in Croydon. As a leading commercial cleaning company in the South East, we are dedicated to making sure children are given a safe and healthy educational environment to work in. Illness can spread fast without sufficient hygiene and cleaning services and we can prevent future absences thanks to a range of specialist cleaning products best suited to killing germs in schools. For a free no-obligation quotation regarding our daily contract cleaning services in Croydon, simply fill out the form below or you can also contact us on 01322 384500 to speak to our friendly team. We look forward to hearing from you.